We honor all who served in this division and sadly mourn those who have given their lives. 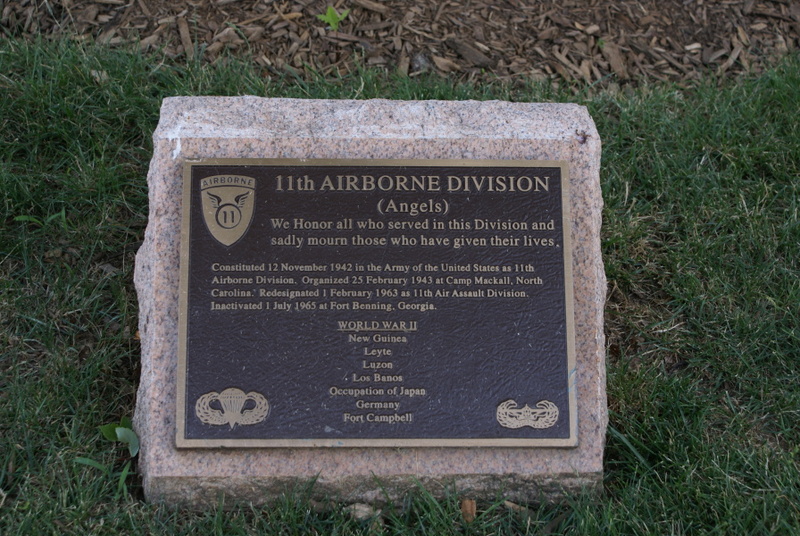 Constituted 12 November 1942 in the Army of the United States as 11th Airborne Division. Organized 25 February 1943 at Camp Mackall, North Carolina. Redesignated 1 February 1963 as 11th Air Assault Division. Inactivated 1 July 1965 at Fort Benning, Georgia.